As with Gala events before, we are offering photographic events on both Friday Evening and Sunday Morning. Evening Goods/Parcels ‘up the line’. 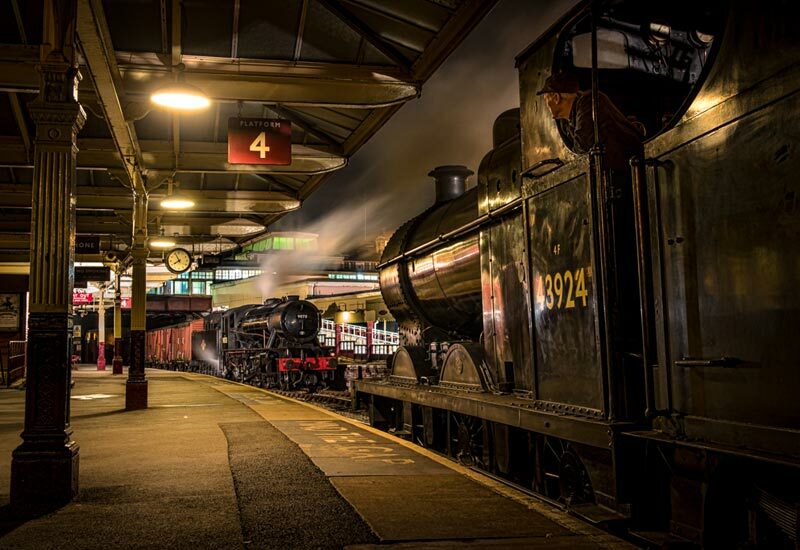 On the Friday evening we plan to run a small demonstration goods train using either MR 4F 43924 (LMS Black 5 45305 will not available). The night will start at Keighley where photographers will have approximately 20-25 minutes. 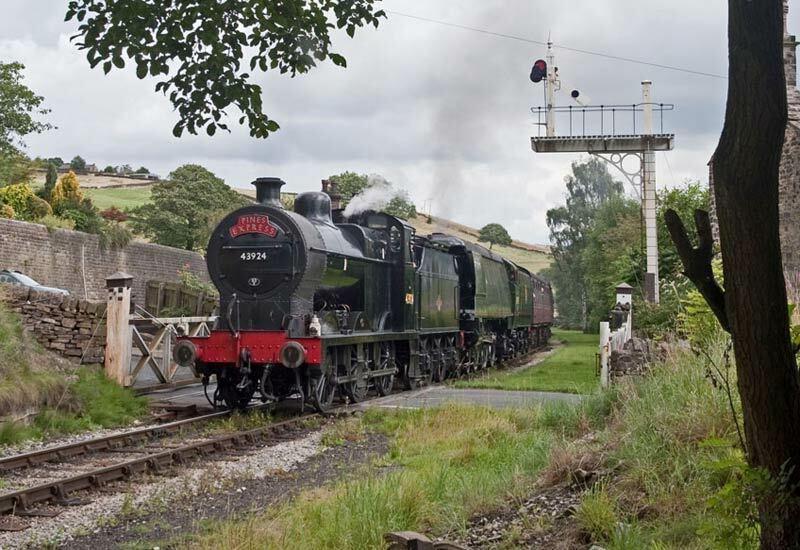 The train will then travel to Ingrow, Haworth and Oxenhope, time permitting, with approximately 30 minutes at each station. We hope to be able to marshall a demonstration Parcels train using our LMS 50ft Mail van, plus a selection of 12T box and Brake vans. If not, a ‘local branch goods will be used. On Sunday morning a second charter will operate. We plan to use SR West Country 34092 “Wells” + BR Standard 4 75078 in a “Pines Express” theme with our rake of BR MK1 Maroon coaches. The train will have full use of the line for 1 hour before the service starts and the opportunity to use the main locations around Oakworth, Mythomes and ‘the mound’ will be taken. In the event of a loco failure, 43924 will substitute for either loco, still giving us the Somerset & Dorset theme. Booking details will follow shortly and will be taken on a ‘first come, first served’. Featured image: Steve Boreham. Photos: Top, Inspiring Images. Bottom, Robin Lush.